We are quickly approaching the greatest 10 days of the “Cowboy Lifestyle.” The National Finals Rodeo will take place from December 6th through the 15th at the Thomas & Mack Center in Las Vegas, Nevada. Very exciting for ViaGen Pets & Equine, cloning has recently become important to improving bull and bronc herds often used at the NFR. Though no bucking horses have performed in Vegas yet, clones are being used for breeding in many outstanding herds, and we will see offspring of these in Las Vegas soon. When we do, it won’t be the first time that a clone has been used to showcase the talents of these cowboys at the National Finals Rodeo. The cloned bucking bulls of Panhandle Slim have come leaping out of those yellow chutes already! Also, there are a few barrel horses that left their mark on the toughest rodeo in the world, and their owners decided to continue their legacy. 10X World Champion Barrel Racer, Charmayne James, cloned her great horse, Scamper and World Champion Barrel Racer, Mary Walker, cloned her superstar athlete, Perculatin aka “Latte.”…and this is only to name a few. The NFR performances begin at 6:45pm in the evening, but don’t think that will leave you sitting around all morning and afternoon twiddling your thumbs! Vendors come to Vegas and set up so many shops, you will have trouble getting through them all. Christmas shopping is a piece of cake with everything for sale from cowboy hats, to rustic furniture, all the way to Range Rovers. This shopping spree has been named “Cowboy Christmas,” and many people wait all year just for the exciting time when this many vendors come together. Also taking place during the daytime while in Las Vegas for the National Finals Rodeo is the Jr. NFR. This is a relatively new event that allows youth, 18 & under, to compete in a very similar fashion to how they watch their heroes compete each night at the Thomas & Mack Center. This year, the Jr. NFR will take place at the Las Vegas Convention Center which is also home for one of the biggest Cowboy Christmas locations. This year, I will be competing at the Jr. NFR in the breakaway roping aboard a great mare that is the offspring of a clone! 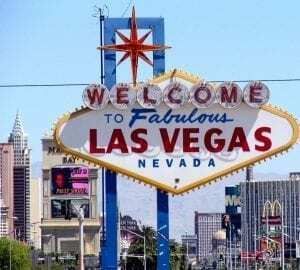 If you decide to venture off the strip, in the old downtown of Las Vegas, there will be plenty more action for you to catch up on. Going on at the Plaza Hotel & Casino, is the Rope for the Crown. 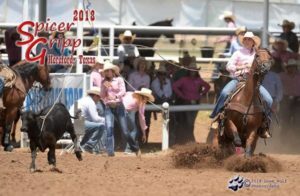 This is a Women’s Breakaway Roping that will host only the best ropers from all over the country who have worked all year to qualify for this event. Also at the Plaza, Chris Neal’s Vegas Stars will showcase junior ropers who felt that their talents were good enough to gamble with in Vegas. Like I said, there’s action everywhere! If you get to make the trip to Vegas for this “Superbowl of Rodeo,” then I hope I prepared you for some of the excitement to come and the events that can fill your days. For those of you who are regular to the NFR experience, I can feel your anxiety for departure day from here. Now for those of you, who have never been to this magnificent 10 day event, add it to you bucket list. Most importantly, if you’re a rookie to the trip, go out of habit, or are jotting it down on your to-do list… contact ViaGen Pets & Equine to learn more about cloning your dog, cat, or horse. We are happy to answer any questions you may have! We will also be out in Las Vegas for the entire 10 days, so if you would like to meet up, we are available for that as well!